During her summer in the 60s, one would expect 11-year-old Florence Forrest to be enjoying some time with friends. Growing up in segregated Mississippi turns into a revealing, dangerous time where Florence’s educated, liberal mother runs a cake business out of her kitchen and takes her daughter across lines to a black bootlegger. Her hothead father jumps from job to job yet holds a mysterious secret in a locked box he keeps in the basement. When Florence’s mother escapes the abusive hands of her husband, Florence gets shuttled off to be cared for by her grandmother’s maid, Zenie, named for Zenobia, Queen of Palmyra. Slowly, Florence discovers the truths about her parents as well as the strength and the resolve she herself possesses. Southern author Minrose Gwin utilizes a creative style and authentic voice to examine the outright hatred and racism, the hidden, brutal agenda of the KKK and the battle for civil rights in the South during the 1960s. 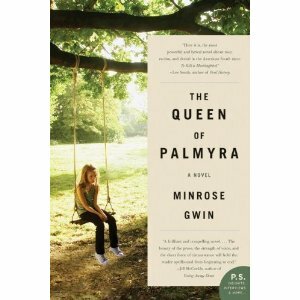 The Queen of Palmyra delves into a young, impressionable girl’s self-awakening layer by layer in this tenacious debut novel. This entry was posted on May 10, 2010, 16:22 and is filed under Books. You can follow any responses to this entry through RSS 2.0. Both comments and pings are currently closed.